I used to have a lot of trouble when buying boots because I have dancer legs and most boots are don’t zip around my calves! These boots eliminate that problem because not only do they have a zipper but they have this lace up detail in the back thats not only for looks but is totally functional! I love that I can adjust the size of the boots for what type of pants I’m wearing. Since I wore thick over the knee socks over my jeans this day I just loosened up the laces when I put these on and they fit perfectly! 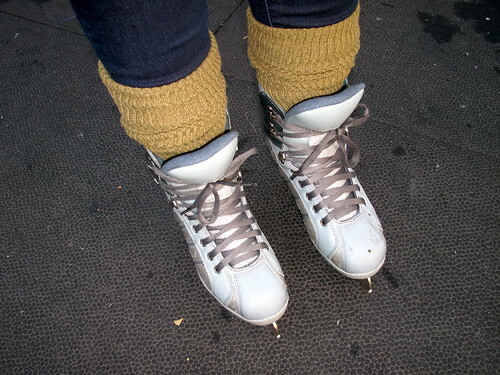 Traded in my boots for a pair of ice skates!!! Don’t forget…finish up your Holiday Shopping with mark. & get yourself this amazing Merry Must Have Gift Set PLUS ANOTHER SPECIAL GIFT FOR YOURSELF! Listen CAREFULLY because you can get a HUGE VALUE!!! Step 5: CHECKOUT & SCORE TONS OF Product & Gifts for ONLY $50 TOTAL! Serious VALUE! Serious Gifts! Serious STEAL! 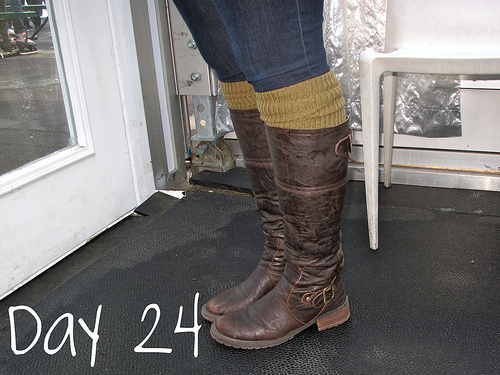 Love the boots, love the socks, the whole outfit is great — perfect for winter!! 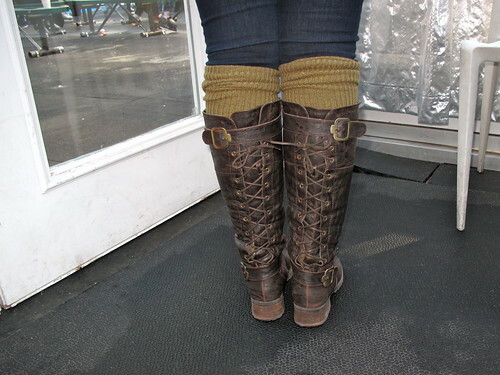 Darling, your boots are pure perfection… I LOVE them! hehe I LOVE IT!!!! from the stripes to the socks and boots…AMAZING. I think I'm going to need your help…I'm going to NYC in January and need to know what to bring! I have not really experienced really cold weather…heeelp!